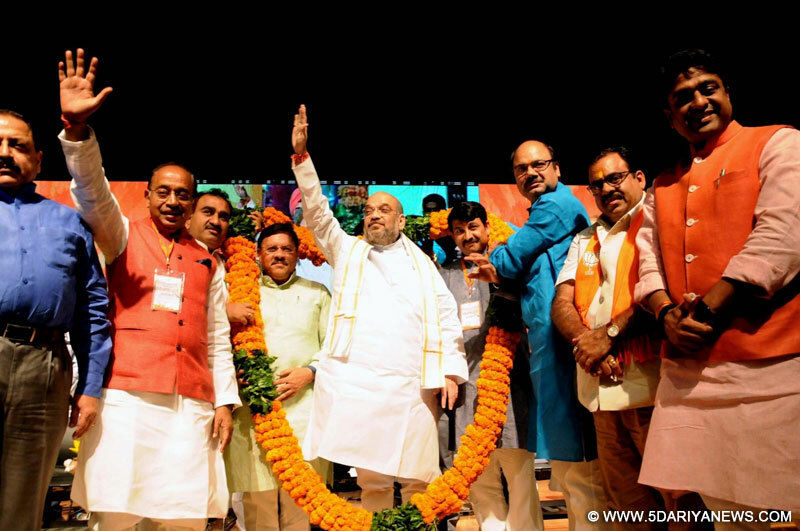 The BJP victory in Delhi's municipal elections here has laid the ground to also win assembly polls in the capital, party President Amit Shah said on Tuesday. "Our target was not just to win the MCD election. It has now built the base for the formation of a BJP government in Delhi now," Shah told party workers at an event to mark his party's victory.Taking a dig at Delhi Chief Minister Arvind Kejriwal for his allegations of EVM tempering, Shah said: "We (BJP) won because of the hard work of party workers who succeeded in winning polling booths. If Kejriwal wants to know the real reason behind the BJP's win, he should visit our booth presidents."